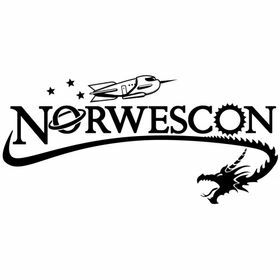 Norwescon 41 was held March 29 – April 1, 2018 in SeaTac WA at the DoubleTree by Hilton Seattle Airport. The theme was “Uncovering Mysteries.” Guests of honor were Ken Liu (writer), Galen Dara (artist), and Mathew Wedel (science). (Wayne Barlowe was originally scheduled to be artist GoH, but had to cancel due to schedule conflicts.) Green Ronin was the spotlight publisher, represented by Nicole Lindroos and Chris Pramas. Norwescon 42 will be held April 18-21, 2019 with the theme “Never Forget Your Towel”, and it will once more be held at the DoubleTree by Hilton Seattle Airport in SeaTac WA. Guests of honor have not yet been announced. For more information, see the Norwescon website.